Although Balasinor is a small town located in the eastern part of Gujarat it has high potential for tourism. If you have gone through our About Balasinor page you would know that the area was inhabited by giant dinosaurs millions of years ago and fossilized bones and eggs of those creatures can still be seen here. In addition to that, the town was once a princely state ruled by Babi Nawabs. It still retains the old world charm that comes naturally with such towns. In fact, such is the attraction of this town that it has been covered by Maharaja Express run by Indium Railways in their Indian Splendor segment. Therefore, if you are visiting the area you must include Balasinor in your itinerary. Start your tour with a visit to the Balasinor Fossil Park located in the outskirts of the city. The Balasinor Fossil Park located in the Raiyoli Dinosaur Excavation Site is the prime attraction of this town. It is known as the Jurassic Park of India and has been developed by Tourism Department, Government of Gujarat. The park showcases thirteen species of dinosaurs along with numerous eggs in fossilized condition. The park is located in the Raiyoli village close to the city. To appreciate it fully visitors must spend at least half a day at the park. The area in and around Balasinor has always been rich in mineral deposits. In 1980s, geologists belonging to Geological Survey of India began routine survey in Raiyoli Village region. They were actually were looking for mineral oil; but what they stumbled upon were well preserved bones and eggs of dinosaurs that must have lived here 100 million years ago. This discovery sent ripples not only throughout the scientific world, but also among the local people. While the paleontologists began their research, common people began to collect those eggs as sign of divinity. Very soon it was established that 13 different species of dinosaurs lived in this area until their extinction 65 million years ago. The soft soil of this area may have helped them to protect their eggs. Indeed some of the eggs found today are said to be best preserved eggs found anywhere in the world. Although some of this fossils have been sent to different museums to be shown to the public, a visit to the site is sure to throw an all together different dimension. The Garden Palace, built in 1883 by Nawab Munawar Khanji Zorawar Khanji, is another place of tourist interest in Balasinor. Apart from a well manicured garden, the architecture of the palace also attracts many visitors. However, it has now been turned into a heritage hotel. Yet, every visitor to the town must visit it at least once. Close to the Garden Palace, is the Chhoti Baadi. It houses the royal mausoleums. Some of these are four hundred years old. Wanakbori Dam on River Mahi is another place to visit. It is located at a distance of 40 km from the town and offers a panoramic view of the water reservoir, especially in the monsoon. During the cooler seasons, it serves as a popular picnic spot. Other than the above mentioned places, there are quite a few places located near Balasinor that may interest you. One of them is Galteshwar. Galteshwar, located at a distance of 250 Km from Balanisor, is famous for its Shiva temple, built in the Sholanki era. It is located at the confluence of River Mahi and River Galati and presence a beautiful view. The most interesting part is that a spring located in the bed of River Galati sprinkles water on the Shiva Lingam constantly. Galteshwar Shiva temple is also famous for its architecture. Its unique octagonal hall is carved with images of gods, goddesses, gandarvas, human beings etc. You can see men travelling on horses and elephants, ladies in palanquins. The artists have also carved the day to day events of ordinary men on the walls of this hall. Dakor, located at a distance of 42 kilo meter from Balasinor, is another place to visit. It is famous for its Ranchhorji Temple built in 1772 AD. The temple is dedicated to Lord Krishna. Full moon is a special day at this temple because it is believed that every boon is granted by the Lord on this day. Timba Tuva is another interesting place to visit from Balasinor. It is a natural hot spring. Its water is said to contain many medicinal properties that can cure many diseases such as rheumatism and arthritis. Although it does not generally fall in the itinerary of general tourists one should take time to visit it. Champaner-Pavagadh Archaeological Park extends from Pavagadh to Champaner. Although both these towns fall under Panch Mahal district they are easily approachable from Balasinor. The whole area is dotted with many old forts, temples and mosques built over a long period of time. Fortunately, all these edifices have been properly preserved and the transition from the Hindu period to Muslim period has been documented precisely. Because of that the area has been granted World Heritage Status in 2004 by UNESCO. As we have already said, the Heritage Park extends from Pavagadh to Champaner. Among the two cities, Pavagadh is a hill station located at a distance of 82 kilometer from Balasinor. The Kalika Mata Temple located on the top of this 800 meter hill is an important place of pilgrimage for the Hindus. There is also an old fort known as Raval Palace in Machi area. Teliya Talav, Dudhia Talav. Vada Talav and Kabooter Khana are few other places to visit in Pavagadh. Champaner, located at a distance of 50 km from Balasinor, is actually the center of this heritage site. The city was founded by Vanraj Chavda in 8th Century AD. In 1482 victory of Sultan Mahmud Begada ushered Pathan rule over the region. Then in 1535, the city went under the control of Mughals. All these rulers built many palaces, forts and places of worship in and around Champaner, most of which stand even to this day. While in Champaner, you must visit the famous Jama Masjid built by Mahmud Begata. It is one of the finest architectural structures in whole of Gujarat. Besides, the city has many ancient Hindu and Jain temples, step wells and other edifices. Most of these temples are more than thousand years old and have been preserved well. Also, take time to walk through its ancient streets of this town and feel the romance. It may not be out of place to add that Lagaan, the Oscar nominated film, was shot in and around Champaner. Accommodation is no problem in Balasinor. Among them Garden Palace Hotel tops the list. As we have already mentioned Garden Palace was originally the residence of the royal family of Balasinor. Later it was turned into a heritage hotel. 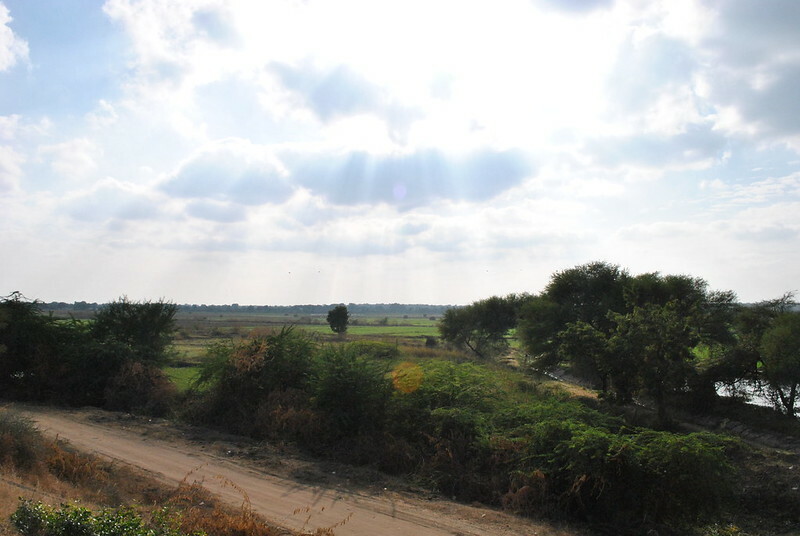 It is located on Gujarat State Highway 141. The hotel is managed by the members of royal family and hence if you are looking for royal hospitality, it is the place to go. For those who love off beat holidays there is the Camp Dinosaur. It is located within Garden Palace Hotel premises and looked after by the same management. The resort consists of 15 deluxe tents with attach bath. The cuisine here has a touch of Lucknow. If requested, authorities arrange for local folk dance. Another good hotel in Balasinor is the Hotel Mayor. It is located on SH 191 and has all the facilities. You may try it as well. Balasinor does not have any direct rail or air connection. However, it is well connected to other cities through a network of highways. Gujarat State Transport Corporation as well as some private agencies runs regular bus service to and from this town. Anand, located at a distance of 63 km, is the major railhead for Balasinor. Therefore, if you intend to travel by train you must first come to Anand and then travel by road. Other than that, Balasinor has two other railway stations located closer to it; they are Kapadwanj (27 Kms) and Modassa (56 Kms); however, no express or mail train stops at these stations. However, if you intend to travel by air, the nearest airport is located at Vadodora (79 km from Balasinor). You may also fly to Ahmedabad, which is 107 km away and then take up road transport. Its really great place for india.